The Connecticut Professional Chapter of the Society of Professional Journalists has inducted Lucy Crosbie, former president of the Chronicle Printing Co., into Connecticut Journalism Hall of Fame. Crosbie was a pioneer for women in journalism while helping run her family’s newspaper, The Chronicle in Willimantic, for nearly 60 years. She served as president from 1954 until her death on Jan. 1, 2012, and also served as publisher of the paper until 1992 before handing over the role to her son, Kevin. She was a prolific writer during her time running the paper, producing thousands of editorials reflecting on events in and around Windham. She was also the first woman to serve as president of a number of boards, including he New England Daily Newspaper Association, The Connecticut Daily Newspaper Association, The Connecticut Editorial Association, and The United Press Newspapers of Connecticut. Crosbie was also active in the local community, holding positions such as chairman of the Eastern Connecticut State University Foundation, president and a founding member of the Windham Historical Society, and a corporator of Windham Hospital. Crosbie is our only Hall of Fame induction for 2018. 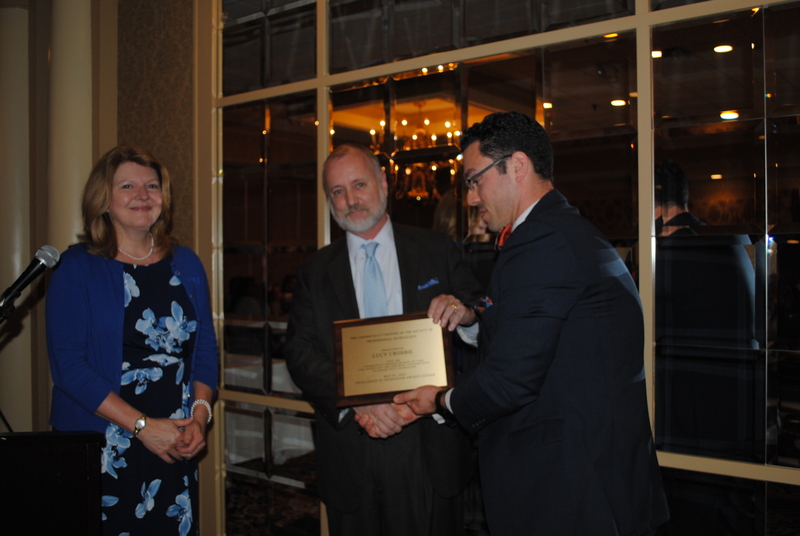 The CT SPJ created the Connecticut Journalism Hall of Fame to honor journalists who have made a significant and enduring contribution to journalism in the state. The entire Connecticut Journalism Hall of Fame may be viewed here. Nominations are accepted throughout the year through an online form on the Connecticut SPJ website. Once nominated, a journalist’s name remains on the list for reconsideration for five more years.